Russian Prime Minister Dmitry Medvedev has signed a decree prohibiting the import of food from Turkey and banning charter flights between the two countries. This is in response to Turkey shooting down a Russian warplane in Syria a week ago. The list of embargoed food products includes poultry, tomatoes, cucumbers, onions, oranges, grapes, apples, peaches and other fruit and vegetables. With the ban on charter flights the Russian government said it will control scheduled flights between Russia and Turkey. "To ban air charters between Russia and Turkey, expect for special flights for the return of tourists remaining in the country, as well as to take additional measures aimed at ensuring transport (aviation) safety when conducting regular flights with the Turkish republic,” said a government statement. Russian employers will be prohibited from hiring Turkish nationals starting next year unless they were already employed before December 31 this year. Russia has also cancelled visa-free travel for Turkish citizens starting January 1, 2016. The Kremlin also said it would suspend the work of the joint Russian-Turkish Intergovernmental Commission on Trade and Economic Cooperation. As was expected, the sanctions do not include freezing the Turkish Stream natural gas pipeline project or the planned construction of the Akkuyu nuclear power station in Turkey. Meanwhile, a source told RIA Novosti that bilateral talks on the construction of a major Russian-Turkish gas pipeline, as well as Turkey’s first nuclear power plant, came to a halt on Tuesday. 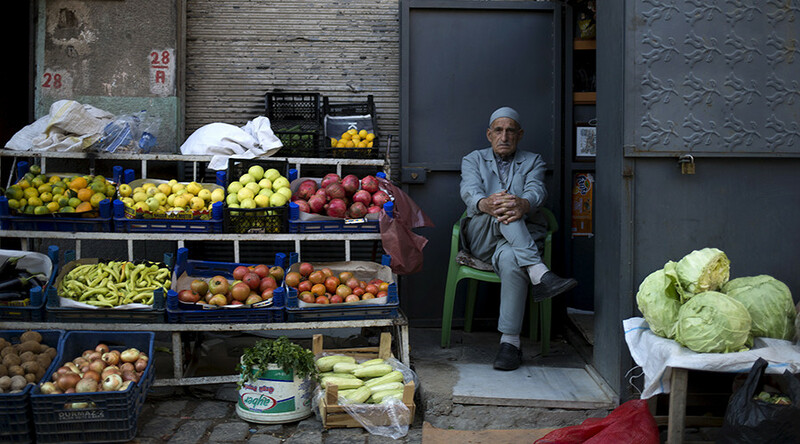 Russia was Turkey’s third-largest trading partner in the second quarter of the year. 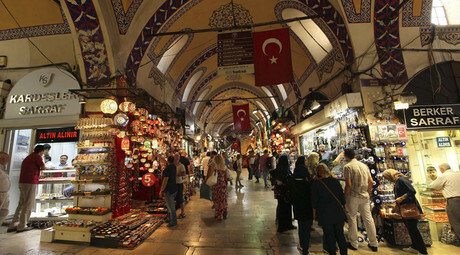 Turkey is largely dependent on Russian tourists who make up 10 percent of all visitors coming to the country. In the first nine months of the year 3.3 million Russian holiday makers visited Turkey. According to the Federation of Turkish hotel owners TUROFED, Ankara could lose as much as $4.5 billion this year from the loss of Russian tourism alone. Deputies from Turkey’s Republican People’s Party said the country’s overall loss could reach $20 billion. Last Tuesday, a Russian Su-24 bomber was shot down by Turkish F-16 jet near the Turkish-Syrian border. Ankara claims the plane violated its airspace and did not respond to warnings. Moscow insists no warnings were issued and the airplane was shot down and crashed in Syria.